Thomas Blackburn was 40 when he succeeded his friend John Heath-Stubbs to the Gregory Fellowship, which he described as a "tremendous asset" to poets and artists. He thought the young Geoffrey Hill a "genuine and gifted bard." Thomas Eliel Fenwick Blackburn was born on 10 February 1916 in Hensingham, Cumberland. After briefly studying law at Selwyn College, Cambridge, he completed a psychology course at Birkbeck College, London, before going on to study English at Hatfield College, University of Durham. 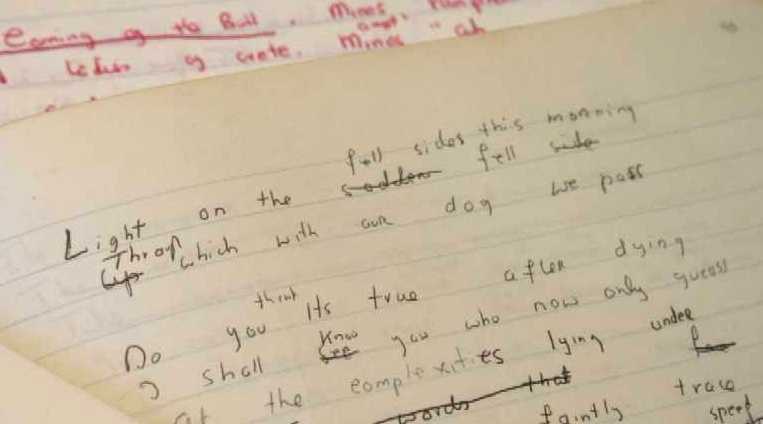 It was during his time in Durham that he was first introduced to rock climbing, an activity that became an important pastime and a frequent subject in his poetry. Blackburn graduated from Durham in June 1940, and returned to London where he became involved in the Soho literary scene. He made many friends amongst the artists and authors who frequented the pubs and clubs of Soho, an area he described as "redolent with painting and poetry." (1) During the Blitz he volunteered as a member of the Holborn Light Rescue Service, and in 1941 was called up to the Merchant Navy; he left after suffering jaundice and went on to join the National Fire Service as a lecturer. This appears to have been the first step in his teaching career. Blackburn took a two-year sabbatical from his post at Marylebone Grammar School to become the third Gregory Fellow in Poetry. He appears to have been actively involved in student/University life, holding regular poetry "sessions" at his home on Heathfield Terrace, Far Headingley; inviting his friends George Barker and Michael Hamburger to read and talk to students, as well as giving poetry readings himself; editing, contributing to, and seeking contributions for Poetry and Audience magazine; and collaborating on the production of the 1956 Leeds University Verse anthology. In a letter to Michael Hamburger dating to the early days of his Fellowship, Blackburn states: "I've got to like the Leeds University ... the students are all very beautiful and strange like lovely martians." (5) Anthony Mortimer, a student in the English Department when Blackburn was Gregory Fellow, remembers him as being: "very hospitable ... always ready to talk about poetry and to find something good in what you'd written - even when it took a good deal of discovering." (6) Amongst the student poets he came into contact with, Blackburn thought James Simmons and Keith Waddams to be talented writers. Amongst the staff, Blackburn developed friendships with G. Wilson Knight and Arthur Creedy, and described Geoffrey Hill as a "really genuine and gifted bard." (7) Through Knight and his brother Jackson, he had his first experience of seances and psychic phenomena, which were to become an ongoing interest and theme in his poetry. 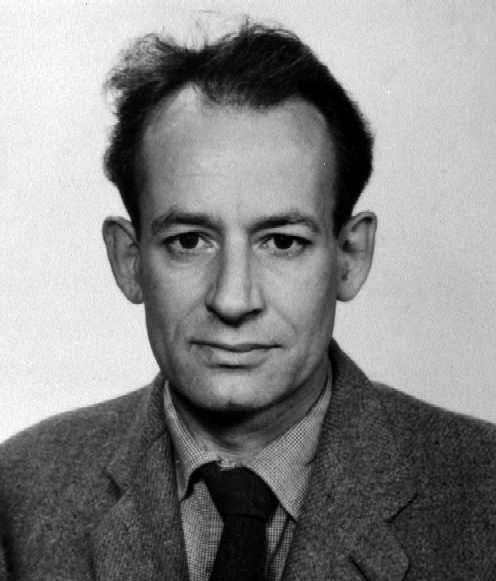 Blackburn had planned to collaborate with the composer Kenneth Leighton, the Gregory Fellow in Music (1963-1956), on a dramatic work for the BBC's Third Programme relating to the Bacchae. (8) Although the drama was broadcast, it is not clear whether or not Leighton was involved. It was also during Blackburn's fellowship, and apparently at his suggestion, that the opportunity for Fellows in Poetry to undertake additional lecturing and teaching duties within the English Department was realised. (9) The Fellows in Painting and Sculpture had been able to supplement the income from their fellowships through teaching at Leeds College of Art from the earliest days of the scheme. Writing for the University of Leeds Review, Blackburn acknowledged the "tremendous asset" the Gregory Fellowships gave to poets and artists in terms of the time it allowed for creativity. He went on to state that "a work of art is not born out of solitude only," and that he had gained much from the "interest taken by some of the scientists" in his work, and "the endless conversations over coffee or alcohol, when ... every now and again our curtains of platitude and convention lifted and a real statement was made." (10) He wrote later that his time as Gregory Fellow in Poetry, "would have been a splendid two years if it had not coincided with the death throes of marriage." (11) Blackburn was estranged from his second wife, the artist Rosalie de Meric, during his time in Leeds; his poem 'An Aftermath' bears similarity with a description of the pivotal argument leading to the marriage's breakdown. After Leeds, Blackburn returned to his job at Marylebone. In 1960, he joined the staff of the College of St Mark and St John, a teacher training college, and went on to become Head of the English Department. During his time at the college he collaborated with the composer Peter Dickinson, then a music teacher at the college, on the motet Mark and the musical religious drama The Judas Tree. His friend John Heath-Stubbs joined the Thomas Blackburn's critical study of Robert Browningstaff of the college as an English lecturer in 1963. Blackburn left the college in 1973, and for a time was a lecturer at Whitelands College, Richmond. 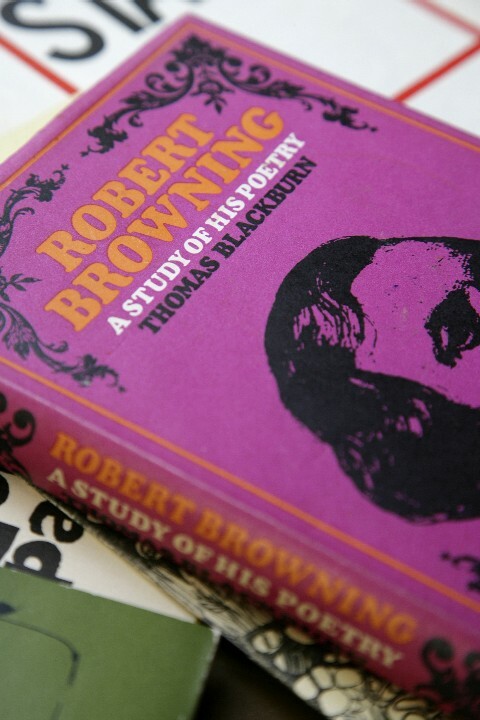 In addition to publishing a dozen collections of his own poetry, Blackburn edited many other poetry collections including anthologies for school children; wrote educational works on methods in teaching English; and published a collection of critical essays and a monograph on Robert Browning. Thomas Blackburn died on 13 August 1977 at his cottage in Wales. (1). Thomas Blackburn, The Last Farthing, (1970) ff. 17 and 49. Typescript draft Blackburn's second autobiographical work. Leeds University Library, Brotherton Collection MS 20c Blackburn/3/3/2/1. (2). Letter from Thomas Blackburn to Bonamy Dobrée (June 1955). LUL, Brotherton Collection MS 20c Dobrée Correspondence. (3). Blackburn, The Last Farthing, f. 62. (4). Letter from Thomas Blackburn to Michael Hamburger (undated; [1956-1957]). LUL, Brotherton Collection MS 20c Hamburger. (5). Letter from Thomas Blackburn to Michael Hamburger (undated; [December 1956?]. LUL, BC MS 20c Hamburger. (6). Anthony Mortimer, Email interview, December 2007. Kathryn Jenner/Leeds Poetry Project. (8). Letter from Thomas Blackburn to Bonamy Dobrée (5 February 1956). LUL BC MS 20c Dobrée Correspondence. (9). Memo of meeting between Blackburn, the Vice Chancellor and Prof. A.N. Jeffares (12 December 1957). Fellows were paid £150 per annum for teaching duties within the Department of English Literature. Leeds University Archive, U: Scholarships and Awards, Box 5. (10). Thomas Blackburn, 'The Gregory Fellowships in the Creative Arts,' University of Leeds Review, volume 5 (1956-1957), pp. 368-372. (11). Blackburn, The Last Farthing, f. 63.